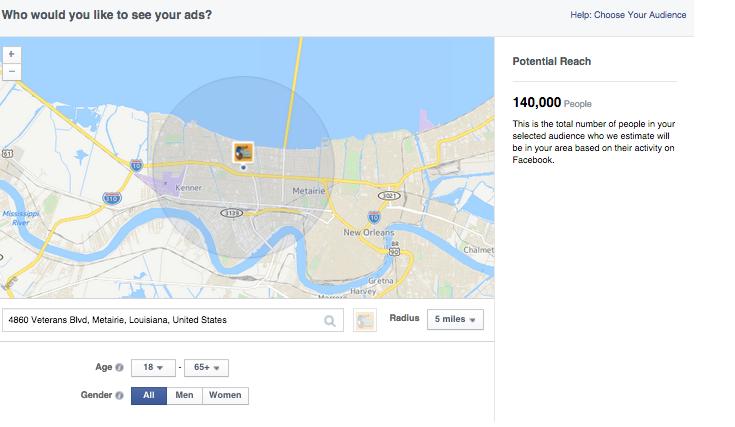 Facebook Local Awareness Ads allow users to add Local Awareness objective in Facebook Ads enabling businesses to reach audiences near business Location. Facebook Ads now have a Call To Action that enables users to dial your business directly. The Call Now and Get Directions CTA, allows users to reach you with the phone dialing your business, once the user clicks on Call Now. The “Get Directions” CTA helps users reach you with a map that locates your business. Local awareness ads can be created directly from your Facebook Page. The Ads are easy to create and require you to set a budget and choose the area you want to reach. The area can be defined for the Geographical location you wish to target. The audiences are targeted in your geographical location-based on the users’ address listed with Facebook. Posted in Ads, Advertising. Tagged Ads, Local Awareness, Retail, Small Business, SoLoMo.